Where we stayed: I don't really like staying in the middle of all the action when I travel to big cities and prefer neighborhoods that feel a little more authentic in character. I chose the Poble Sec area which is more residential with a couple of hotels, but with plenty of restaurants and bar options. These spots attract lots of locals! Hotel Brummell: Booked via Expedia. Fell in love with this hotel when I saw it online and knew right away it was the one. We received such a warm welcome by the staff and they even let us check-in to our room 5 hours early. The hotel is small, but charming with a pool, restaurant and a spa. Our room faced the pool area and with a nice view of the neighboring Poble Sec buildings. I loved watching the residents going through their daily routines of having coffee on their balconies or hanging clothes to dry each morning. Getting around: Our hotel was a quick 15 minute walk to all the action of El Raval, Gothic Quarter, Las Ramblas and El Born. These areas are all next to each other and are super touristy so it was nice to be able to slip in and out of there. The Metro is 3 blocks away from the hotel and will take you to all of the must see places in Barcelona. I personally love taking the train anytime I'm in Europe. Taxis can add up pretty quickly, on average we spent at least 10 euros anytime we got in one. I'd say save the taxi rides for night time and hop around the metro during the day. AirBnB vs Hotel: It's really up to you, but I will say this, Europe can get pretty expensive if you're eating out for breakfast, snacks, lunch and dinner. If you don't want to blow all of your money on food then I recommend booking an AirBnB. There are plenty of supermarkets and wine shops in the city. -Walk around: El Raval, Gothic Quarter, Las Ramblas, El Born and other surrounding areas. 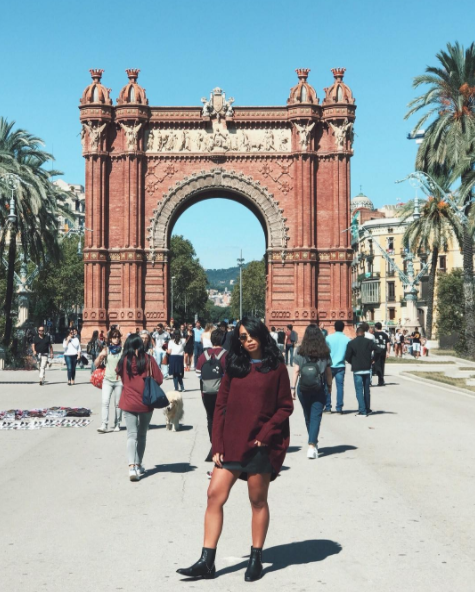 -Visit: Barcelona Cathedral, Park Güell, Barceloneta Playa, Arc de Triomf, Placa Catalunya, Sagrada Familia, Casa Mila, Montjüic, Palau de la Musica Catalana. -Best views: If you're feeling adventurous and don't mind a hike, definitely visit Bunkers Del Carmel for an incredible view of the city. Another place to get an amazing view is the bar at the W hotel in Barceloneta. You can't visit this city and not eat gelato!! 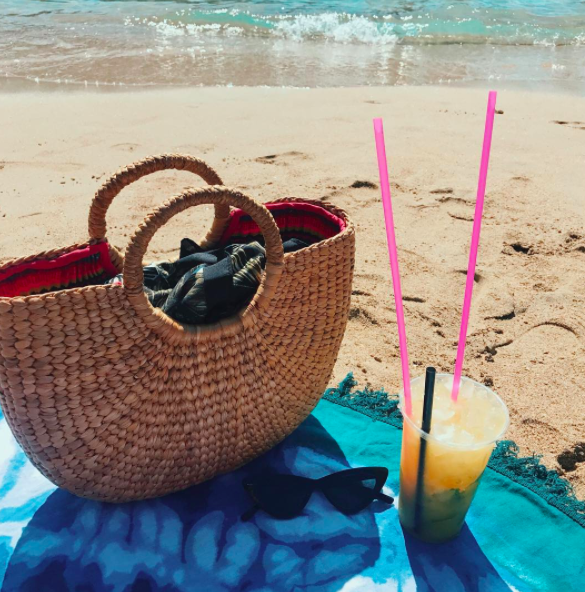 There are shops and carts everywhere you look, but our absolute fave is Ice Box in Barceloneta beach. Order the Catalunya flavor! ***Also, if you walk North of Las Ramblas into Ramblas de Catalunya, you'll find a strip of restaurants with more of a chic feel. Def recommend! What the weather was like: In September the weather can be a bit unpredictable in Barcelona. One day we had beach weather, the next we were shopping for sweaters because it was so cold and then back in Summer clothes the next. I prefer hot temps, but I hear it is super crowded in BCN during the Summer and it's hard to find a spot to lay on the beach. The crowds get smaller once September arrives and temps begin to drop. Final thoughts on Barcelona: I absolutely loved it! Not a big fan of Las Ramblas because it felt like Times Square, NY in terms of crowds, but I definitely enjoyed my walks through other areas. 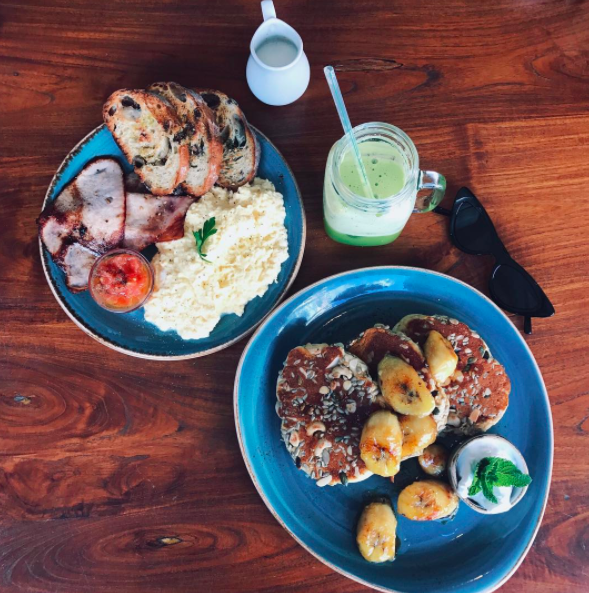 If you're a food lover like ME you will be extremely satisfied with the food scene in this beautiful city. The hotel staff recommended that we keep an eye on our phones and wallets while out in the busy areas because Barcelona is known for pick-pockets. I could tell all of the other tourists got the same memo because everyone wore their backpacks, fanny packs and purses on the front of their body. Also, dress comfortable. People in Barcelona have a very laid back style. You can get in anywhere with sneakers, so don't bother wearing anything uncomfortable or trying too hard. We spoke Spanish everywhere we went out of respect and in return everyone was lovely to us. I would definitely go back to Barcelona! We booked our Ibiza portion of the trip (flight included) on Expedia. The roundtrip tickets ended up being free if we booked certain hotels so that was a WIN! But on average the roundtrip tickets are under $100 per person and I've seen one way tickets for $38. The flight: Vueling Airlines - on paper it says it's a 59 minute flight. but really ended up being 34 minutes going and 41 on the way back. Is it weird that I time all of my flights from wheels up to touch down? 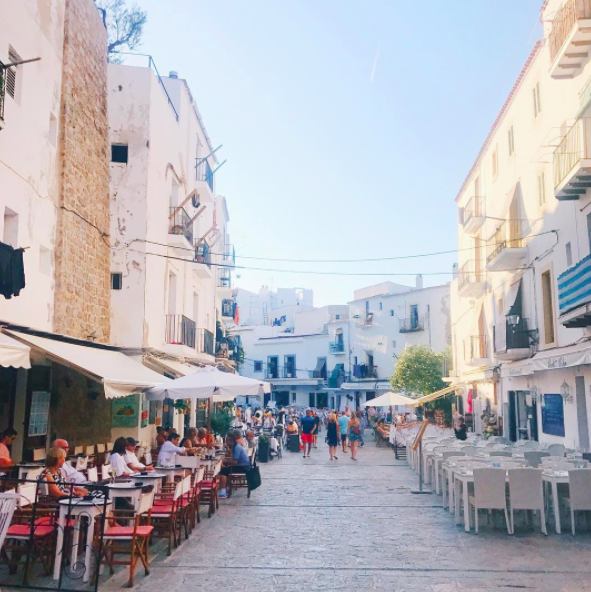 Where to stay in Ibiza: It took me an eternity to decide on a hotel because I felt overwhelmed by the choices. I didn't know if Sant Antoni would be far from Ibiza Town or what to expect from the crowds in each town. Ultimately, I flipped a coin and went with Ibiza town. I honestly feel like you can't go wrong either way because the island is so small. It took us 29 minutes to drive from one side to the other. Hotel: Nobu Ibiza Bay - I booked this hotel while it was still under construction so we got a pretty sweet deal on it. The staff was amazing and even spoiled my boyfriend with a cake and champagne on his birthday. To drive or not to drive: A few people mentioned that it's a little difficult to find a cab in certain areas of the island and that they tend to charge any rate they want. We definitely didn't want to deal with that headache since we wanted to venture out to the beautiful Calas on the island so we rented a car. The cost of the rental for 3 days was 189 euros with insurance and fees included. They did, however, hold an additional 400 euros as a security deposit which we got back as soon as we returned the vehicle. To put it in perspective: a cab from the Ibiza airport to our hotel (which was only 14 minutes away) would have been between 30-40 euros so renting a car was the better option for us based on the itinerary we had planned. You could also rent a scooter anywhere in town short or long term. 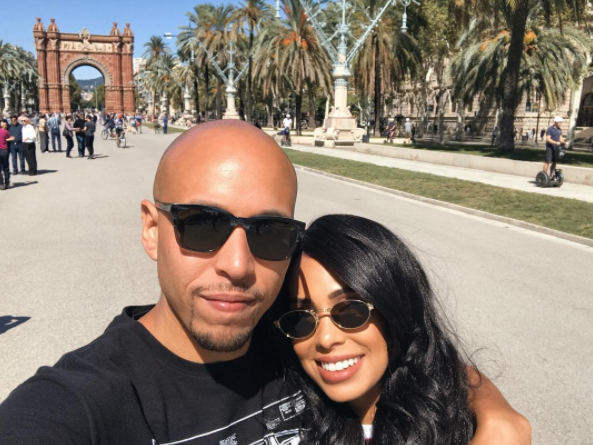 I was so nervous about the weather in Ibiza after the ups and downs we experienced in Barcelona, but we had the most perfect HOT temps during our stay! Ibiza's high season is between the end of May and end of August. September-October is better known for it's "closing parties". Why are they called this? Well, the island pretty much shuts down from November to late Spring. Our hotel's last day of business is October 15th and then they'll re-open next year. -Old town: Start at the top of the hill (Museum Dalt Villa) and walk down through the museum and into town. It's easier than starting at the marina and walking up. But you do you boo! -Shop: There are lots of stores to choose from on the island (Zara, Mango, etc). Prices were lower at these stores than in the states. 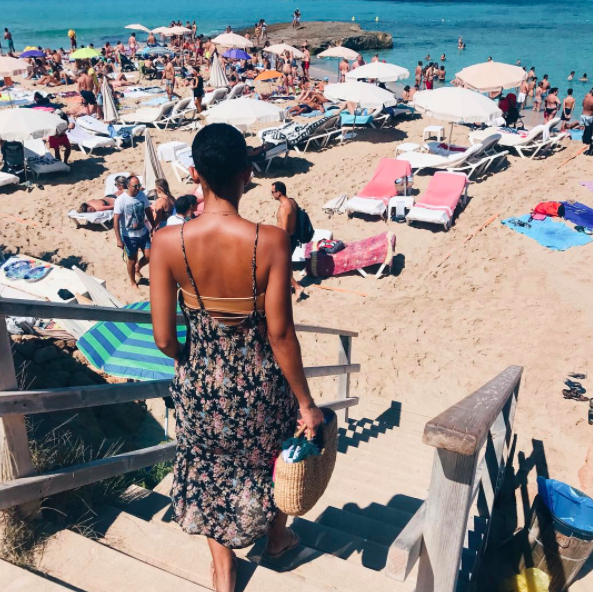 -Beach clubs: So many on the island, we only got to check out Blue Marlin, but others on my list were: Ushuaia, Beach House, and Bora Bora beach clubs. Ibiza is known for its magical beaches! You can't go out there and not visit at least one. It's important to note that you will have to walk, hike and climb rocks to get to the beach. It's a bit scary at first, but so worth it. -Cala Comte: a 28 minute drive from our hotel. Park your car anywhere and walk down to the beach. You can climb down the rocks or walk into the restaurant at the beach and go down a small set of stairs towards the sand. -Cala Saladeta: a 30 minute drive from our hotel. By lunch time all of the parking spaces were already taken so we actually had to drive back a few miles and park at the "Piscina Municipal" and wait for the shuttle. I got impatient and decided to walk (big mistake) longest walk of my entire life. 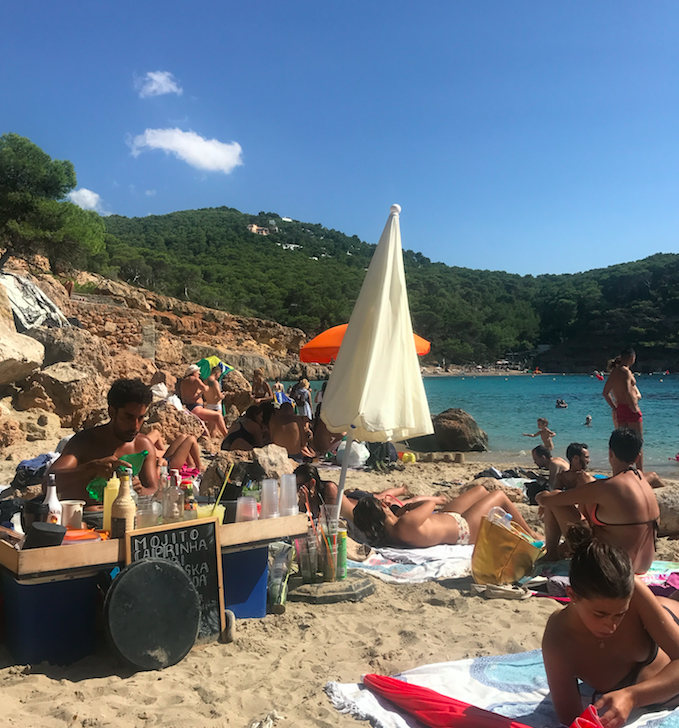 Once we arrived we saw Cala Salada and although it's nice, I strongly recommend climbing the rocks on your right side and making your way over to Cala Saladeta. I've never seen a beach that beautiful. If you forget your drinks and snacks don't worry about it! There's a guy making mojitos on the beach and another one selling the most delicious empanadas! Bring cash!! -Parties: We didn't party in Ibiza because we just wanted to relax but there's not a shortage of fun parties on the island. All of the clubs open at 12am and as like most places in Europe, get really good around 2am and go on until the early mornings! Final thoughts on Ibiza: This island is what you make of it. It can be wild or relaxing. We chose the relaxing route. There is definitely something for everyone here and if you have kids, don't be afraid to bring them along on this journey. I feel so blessed to have been able to cross these two destinations off my list. I cannot wait to get back to work, save up some more coins and plan our next trip! Life is short, get out there and explore!